Can Liverpool go all the way in the Champions League after qualifying vs Napoli? Liverpool managed to defeat Napoli by the margin they needed to progress to the next round of the Champions League. This means that so far their season is as good as it could be: Klopp’s men are at the top of the Premier League as they are still unbeaten in 16 games and they have now secured the qualification to the two-leg format of the Champions League where they usually do their best. According to BestBettingSites.Online Liverpool best odds to win the Champions League are at 10/1 which is undoubtedly excellent value considering in the last season they lost in the final due to their goalkeeper and that now are a much more solid side with a massively better keeper (as we saw yesterday). Can Liverpool go to the next level? If Liverpool and Jurgen Klopp had made a map of their season before the start, they would have seen what they have reached just before Christmas as the best possible scenario. Not only they are still unbeaten in the Premier League, but they have also been able to overcome a very tough Champions League group with Napoli, Paris Saint-Germain and Red Star Belgrade. Another critical thing to notice is their players are in very good form. Due to a somewhat slow start from Salah many started to question if last season was just a typical ‘one-season’ wonder. It wasn’t. The Egyptian looks entirely on track, and he is continuing to score frequent and essential goals like the one against Napoli that has sent the Reds into the last 16 of the Champions League. He is back to the same form that has made him an instant Anfield star in the last campaign. Virgin van Dijk is now, without any doubts one of the best Europe’s defenders: the £75m that the Reds invested on him were well spent, and the effects are evident in this campaign with Liverpool that has become a lot more solid at the back. Liverpool are showing to be delivering when it most counts showing the resilience of the champions: against Everton in the derby, they were capable of winning deep in the extra times, and against Napoli, they managed to get precisely the result they needed. Avoiding dropping into the Europa League is an excellent achievement as playing Thursday night football can affect players mentally and physically: after all a team like Liverpool need to play in the Champions League. Now Liverpool can solely focus on the Premier League as the Champions League will be back in February next year. Bookmakers are making Liverpool the second favourite to win the title at 5/2 and it is not surprising odds have been shrinking in the last few weeks. Under Jurgen Klopp, there has always been a great attacking style, but the weak defence has always undermined their achievements. This is not true anymore. Yes, it has cost lots of money to the Germans to fix the defence: around £142m to be exact with the acquisition of Virgil van Dijk from Southampton the last January and the £67m for keeper Alisson from Roma last summer. Surely expensive business but now undoubtedly worth every single penny. Let’s take Alisson. Everyone knows what happened in the final of the last Champions League and how much Liverpool was affected by not having a reliable keeper in their squad. In stark contrast, Liverpool have been able to keep 12 clean sheets most of those thanks to Alisson’s qualities. After all, both acquisitions represent a re-investment of the money they got from Barcelona when they bought Philippe Coutinho in the last winter market. Not many would have said it then but the reality is that even if Liverpool sold their best player at the time, they have used that to make themselves a much more complete team that is now fully equipped to go all the way and finally win trophies. Against Napoli it was a very close call like it was in the Merseyside derby against Everton. But they made it, and this is the most critical thing, and both won have significantly enhanced their chances of winning one of the two titles (or maybe both). Surely they had some luck in their side as Van Dijk was somewhat lucky to avoid a yellow card for a challenge on Mertens but it was immense and one of the reasons why the Reds were able to keep a clean sheet against a top team like Napoli. A single goal could have destroyed Liverpool chances of winning the Champions League and maybe even the whole season. Alisson was also able, deep 4 minutes into extra time, to perform a vital block from Akradiusz Milik. Klopp’s achievement was to cure one of the major flaws with the arrival of Van Dijk and Alisson: the defeat in the last Champions League due to Loris Karius’ mistake was a too big shock for the German not to make changes. The result is that they are now firing on both the Premier League and the Champions League. On the slight negative note, Van Dijk will not play in the first leg of Liverpool’s first knockout game due to suspension, but he didn’t seem to be too worried. He said that the Champions League is something every one of them really wants as it will allow them to make history. Van Dijk also said that playing in the Champions League is an honour and that they have dreams and doing better than last year is one of them. He also added that it is a great time to be a Liverpool player and that even if the challenges are tough, he thoroughly enjoys it. 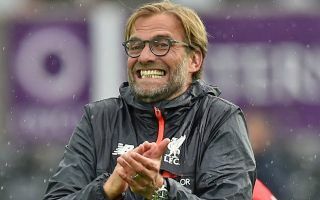 It is difficult to say for sure where Liverpool can go this season but what is evident is that they now have everything they need to start winning trophies. There are strong teams out there like Man City, Juventus, Barcelona, Real Madrid that will once again pose significant threats to their dreams but the feeling is that the Reds will finally get their hands to a silverware at the end of this season.